Seven weeks into its campaign to retake Mosul from ISIL militants, the Iraqi army says it is facing the toughest urban warfare imaginable. With air and ground support from the US-led coalition, some 100,000 Iraqi soldiers, security forces, Kurdish peshmerga fighters and mainly Shi’ite paramilitaries are battling an enemy ready to die to defend by far the biggest city in its self-styled Caliphate. On Wednesday, US Army Lieutenant-General Stephen Townsend, the Commander of the American-led anti-ISIL coalition, said the Mosul offensive could take two more months. Once the Iraqi Shi’ite militia advance west of Mosul had begun, ISIL leader Abu Bakr al-Baghdadi told his followers there could be no retreat from the city where he first proclaimed his caliphate in July, 2014. Those tempted to flee should “know that the value of staying on your land with honour is a thousand times better than the price of retreating with shame,” Baghdadi said in an audio recording released five days after the Shi’ite militias announced they were moving to cut off the last route out. 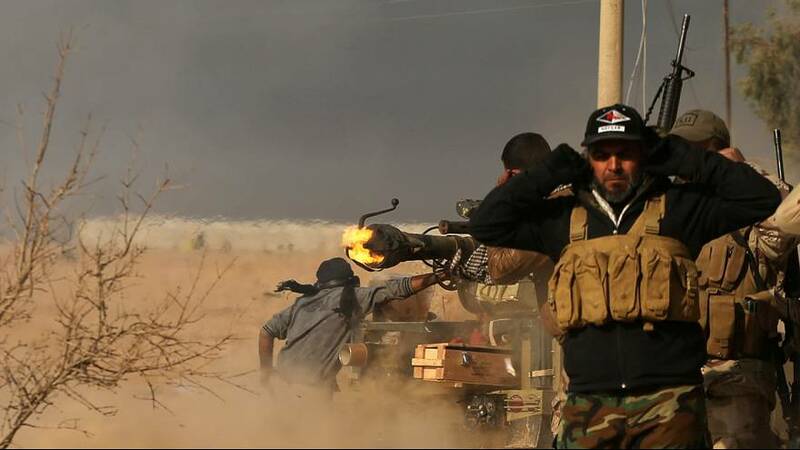 Such tactics are said to have helped the so-called Islamic State repel the Iraqi army’s deepest advance yet into the city, with reports of heavy losses inflicted on soldiers who had seized a hospital in a southeastern neighbourhood but were then forced to flee for their lives. That is exactly what thousands of ordinary men, women and children are doing although 1 million remaining Mosul citizens still have no escape from the front lines creeping ever closer to the city centre. Iraqi army commanders have repeatedly said that the presence of civilians on the battlefield has complicated and slowed their offensive, restricting air strikes and the use of heavy weapons in populated areas. The battle for Mosul is the biggest in Iraq since the US-led invasion of 2003.